Many people who have taken on extensive renovation projects will joke about how much easier it would have been easier to knock down and rebuild. While there is often truth to this, it can be complicated weighing up the financial and practical implications of renovating over rebuilding. 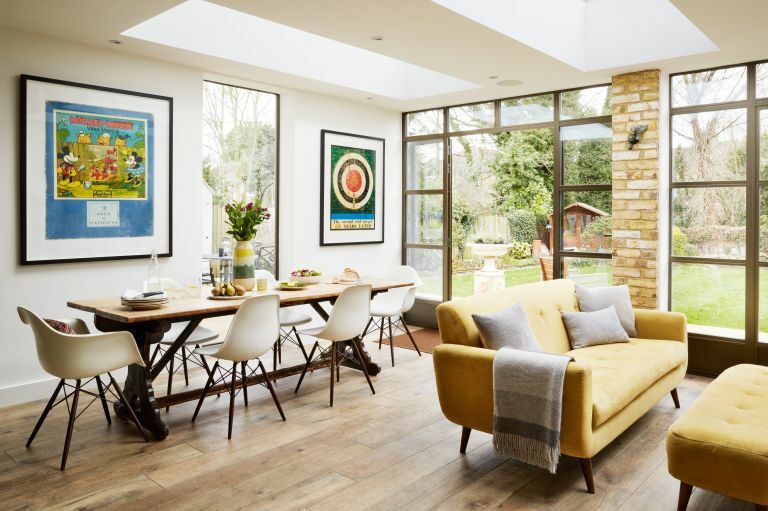 If you have taken on a home renovation project that requires a lot of work, this article will help you decide on the best course of action – renovate, or replace? Find out how to knock down a house and rebuild it, and discover exactly what is involved in renovating a house? When is it best to renovate? It is impossible to truly reproduce the authenticity of genuinely old buildings and it’s often important to try to keep the building’s fabric, both for exterior character and interior features. Of course, if the home is listed it is protected by law so any works will need prior approval. Even if a building is going to be changed radically, keeping the most basic fabric in place can work our cheaper than a complete rebuild with new footings and external walls etc. It can be a lot easier to get planning permission for alterations to an existing building (often possible under permitted development) than to get permission for a new house. This is not always the case, but will usually be the path of least resistance. From a “green” perspective, retaining and reusing things that already exist is generally seen as requiring less energy than demolishing and building from scratch. While all new work will have to comply with building regulations, with an existing dwelling, there’s no need to upgrade existing non-compliant features of the building as long as the proposed works will not make their non-compliance worse. What are the most common reasons to knock down your home and rebuild? Modifications to an existing building are generally subject to full VAT, while new-build projects are zero rated for VAT, so it often makes financial sense to start again. From a “green” perspective, while the process of knocking down and rebuilding might require more energy than retaining and reusing, if the existing building fabric cannot be upgraded effectively, the long-term energy losses of retaining it can outweigh the short-term energy use in a rebuild. You might feel the home doesn't make full advantage of the plot. Perhaps the current design means living spaces are dark and bedrooms positioned too close to a road. While the exact positioning of a rebuild will still be restricted by planning, you will have far more flexibility to create a layout that works. Many people will feel much more comfortable with something newly built, knowing that it is entirely sturdy, where the services run and so forth. In addition, anomalies such as over-steep staircases and narrow doorways can be avoided and you won't have to find ways to work around parts of the building that can't be changed such as a load bearing wall that can't be moved, or an impractical drainage system. How much does it cost to demolish and rebuild? ‘The cost of demolishing whole structures is generally based on their volume – a rough guide price might be around £30 to £40 per cubic metre,’ says chartered surveyor Ian Rock, author of the Haynes Self-Build Manual and director of survey price comparison site, Rightsurvey.co.uk. ‘But costs will be skewed by factors such as ease of access, façade retention or work involving asbestos. With the new house, it can make use of some parts of the previous dwelling and still qualify for zero-rate VAT, explains Michael Holmes. These are: a cellar or basement – although it must be demolished to the top of basement/cellar walls; party walls shared with neighbouring properties; and a retained façade required by listing or Conservation Area status. Detached garages or outbuildings can also be retained. What’s the process when building a new home? If demolition followed by construction of a new house is on the agenda, don’t tackle the project in two halves. ‘Combine your applications for demolition and replacement in one, both for planning and building regulations,’ says Ian Rock. ‘Once the old building’s gone, there’s technically no obligation on the planners to grant consent since there’s now nothing to replace. Although in most cases you would get permission, you can’t be certain.